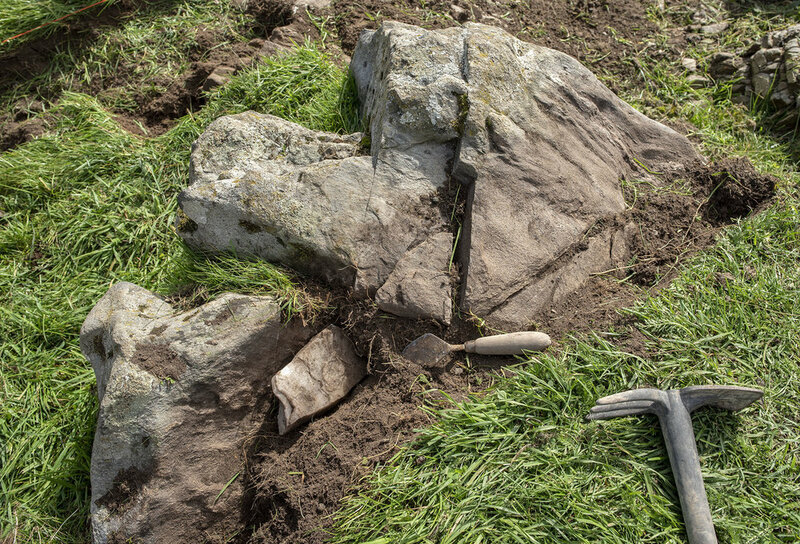 This is the second season of excavation at a rock art site in Strath Tay. The location is characterised by a series of rocky outcrops upon the crest of a natural mound. The largest outcrop is decorated with cup marks, some surrounded by rings. In 2017, a small team excavated a series of trenches around the carvings. Our aim was to explore the context within which they were made, and to potentially date any associated activity. 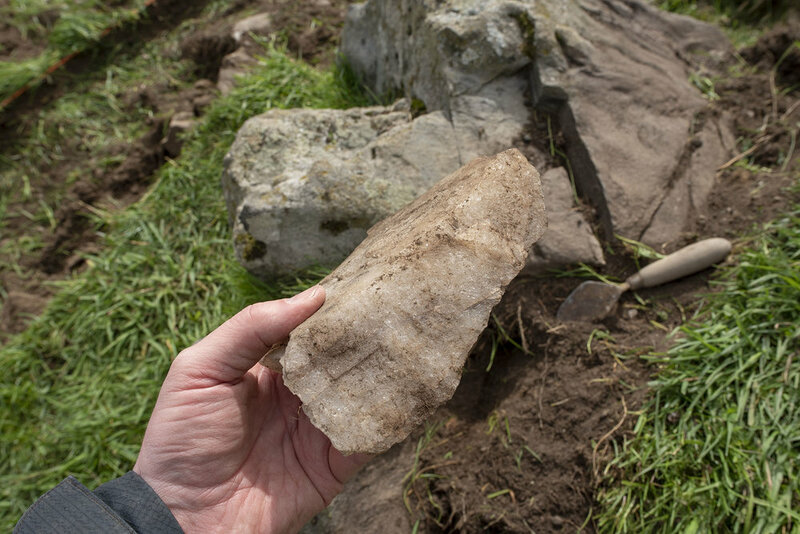 We found some curious features, including a detached slab of stone bearing a single cup mark, and a series of placed quartz deposits. Two charcoal samples were submitted for radiocarbon dating, but these turned out to be relatively modern. In 2018, the plan is to expand upon last years trenches. Some of the stones they revealed looked to be part of a structure, possibly a cairn defined by a kerb. Indeed, a 19th century account had described a cairn in this location. If there was such a feature, was it associated with the cup and ring markings? On the first day, we decided upon the position of the main trench and, following some strimming to remove nettles, began to remove the overlying turf. Similar to 2017, we soon began to find pieces of quartz. Many were worked and had been carefully placed in cracks and fissures in the bedrock. By the end of the day we had removed turf from most of the largest trench.